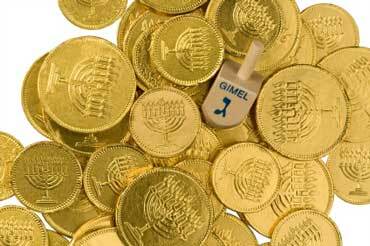 Although we were busy wrapping up our Hanukkah with some delicious latkes and a game of dreidel, we also wanted to make sure that you and your brands were the true winners of all the gelt available this holiday season! The next two personas in our 12 Personas of Linkmas series are very near and dear to our hearts – and you’ll see why! As usual, Norris Rowley brings his market research prowess to uncover the personas whom you should be marketing to this joyous holiday season. Megan Brown chimes in with engagement insights and strategy suggestions. But, don’t let us keep you from unwrapping these marketing insights… meet Wasteful Will and Social Suzi! This persona are conservative consumers, loyal to favorite brands and comfortable styles and value-conscious as they seek out low-price websites like Kmart.com. Sike!! His name is Wasteful Will – you know better! C’mon, this persona type is known to spend well above their means. They are live online to shop, they can be spotted on sites like Amazon.com & Zappos.com. They are fond of buying clothing and other small items but skittish about consumer electronics, still sticking with small TV sets and desktop computers. Nevertheless if the price is right, Wasteful Will is definitely in. A little known fact- this persona is a fan of news, information and social networking sites. Although they do visit a select group of chat forums and blogs, this persona is not the type to participate in the conversation. They are fond of online games websites such as iwin.com and pogo.com. Also, the Wasteful Wills of America consume a great deal of video and audio content. From downloading music via iTunes & Google Play to watching hours of YouTube clips. How can you engage Wasteful Will? This persona type is very receptive to content that is focused on product comparisons. Wasteful Will is always shopping for himself- so use comparisons that speak to his interests, such as gaming and music. Tell him how certain products will improve or even make his life easier. Due to the fact that Wasteful Will also spends a good deal of time gaming,the gamification of your product marketing or content will draw him in and keep him coming back. Go where he goes to engage him – for example, add a gamification element that benefits Wasteful Will to your brand’s Facebook page or create a series on YouTube that benefits him if keeps on watching it week after week. Let me start by saying this… OMG is Suzy annoying! (Note from Megan: I am not really like this in real life, I swear!) Try to talking to someone who would rather tweet you than call or text you. I doubt she knows what and actual physical newspaper or magazines looks like, because according to her “why would I touch such a thing when I have an iPhone.” She prefers the internet… Wait a second I said that wrong- she lives on the internet! If she isn’t on Facebook or Twitter, she is combing through a blog sites or a website that offer news, sports and commentary. This persona type regards the internet as a center for videos, music, entertainment and food. They log long hours tracking down the latest viral clip. Often, their work life and personal life blur when they’re online. How can you engage Social Suzi? Admittedly, Suzi IS the persona who is most like me, so I have a little extra insight beyond the numbers to add to this engagement summary. This persona are active players in the digital world, which makes them extra valuable to engage, because they will share their experience with others online. They love being the first among their friends to find new and interesting websites. In other words: make Social Suzi feel like a VIP, and she will be your brand ambassador. The best way to engage them is with topical dynamic info-graphics that are promoted through various social media channels (Facebook, Twitter and Google Plus). Info-graphics fit well into Social Suzi’s fast-paced online behavior because they are a concise and highly shareable way to encapsulate information. Stay tuned to the iAcquire blog for the rest of the 12 personas of Linkmas! In case you missed the first two personas, DARKSOULSLAYER67 and Redneck Randy, they are waiting to meet you here! And don’t forget Bougie Brandy and Just Jake – you can find them here. Both were awesome – Wasteful Will cracked me up. Love it! I am definitely a Social Suzi – trying to cut back on the foursquare addiction!